FIRST LEGO League (FLL) is starting to loom large on the horizon. The State tournament will be held at MacKillop Catholic College in Hobart on Thursday the 5th November (all day). Due to the number of teams expected to be involved, schools are limited to entering a maximum of 2 teams. FLL combines Robotics and project work in a team environment - This year’s topic is Smart Moves - Transport. It fits very well into the curriculum. An ideal scenario is to run FLL in your science lessons and pick the best team(s) to go to the state tournament or run the Robotics component as a lunch or after school activity and complete the project in class. 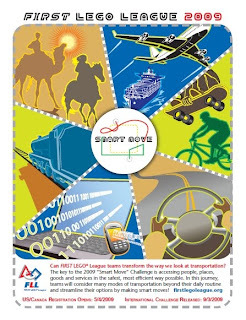 www.usfirst.org - The US FLL site with info plus video showing you what FLL is all about. To register you will need to ring either Anita (Moore Ed) 1800-684068 or Johanna (MTA) 1800-251497. The approximate cost is $150 for the Mat and kit which you can use with a whole class and $100 registration per team competing at the state finals.